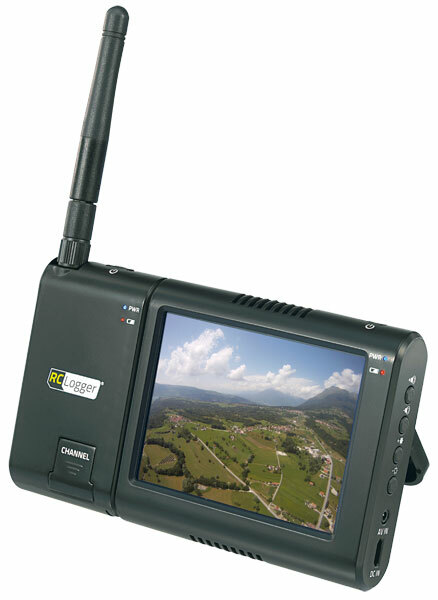 The 5.8 GHz Video Transmission Set is intended to be used in combination with the RC Logger PRO. It may also be used with any other device which provides an A/V output signal. The product is CE certified. With the all new 5.8 GHz Video TX/RX Module and LCD Set, you can now view LIVE video and audio from your flying RC models in real-time! Compatible with RC Logger PRO, the 5.8 GHz Video TX / RX Module and LCD Set offers state-of-art FPV experience with exciting features. The 5.8 GHz Video Transmission Set is designed and tuned to offer maximum power output with minimum loss. Equipped with Futaba type trigger and power socket, the TX can be powered on via RC radio receiver. Frequency channel selector on the TX and RX module allows up to 8 frequency channels. To enhance your FPV experience, the Video TX/RX Module and LCD Set supports stereo audio transmission. The 3.5Ã¢â‚¬Â� detachable LCD monitor delivers bright and sharp images optimized for outdoor viewing. Compact and light weight with robust ABS housing. Easy connection with the RC Logger PRO AV signal via the AV cable provided. Equipped with status LED and Futaba type power and trigger port to power on via RC remote control. Detachable from LCD monitor to give extra mobility. Additional A/V out socket allows for connection with extra display. The power and battery status LED keeps you alert of the remaining power level. Internal battery is rechargeable via microUSB cable provided. Comes with metal belt clip for carrying around with ease. Detachable from the RX module by a simple sliding action. Monitor can be used as a standalone external monitor by taking in analog PAL/NTSC signal via the additional A/V in socket. User adjustable settings include monitor brightness, contrast, color, sharpness, and video format (PAL/NTSC). 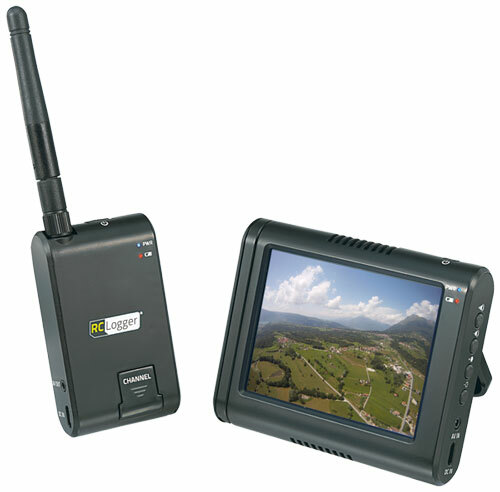 The LCD display unit comes with a foldable stand for placing on flat surfaces and can be mounted on RC remote control with the Radio System Mount (available separately). Equipped also with power and battery status LED like the RX module. Internal battery is rechargeable via microUSB cable provided.